New City, NY – County Executive Ed Day and Director Susan Branam of Rockland’s Veterans Service Agency presented the 2019 Buffalo Soldiers Award to local veteran Lewis Green during a special ceremony on Wednesday, February 6, 2019. Other local elected officials also attended the ceremony. The Buffalo Soldiers Award is presented annually to an outstanding African-American veteran who resides in Rockland County. A “Buffalo Soldier” is the nickname first given to members of African-American cavalry regiments of the U.S. Army who served in the western United States from 1867 to 1896, noted for their courage and discipline. Mr. Green’s contributions stretch far beyond Rockland County. After Hurricane Katrina, he traveled to New Orleans to help flood victims rebuild their homes. He’s spent years volunteering at the Bowery Mission in NYC feeding the homeless. In 2015, he raised $2,000 to help families affected by Hurricane Matthew’s flooding in North Carolina. Even traveling there during the week of Thanksgiving to help serve food to families at a church in the area. “Lewis Green is committed to improving the well-being of all people, and it is my pleasure to be able to recognize how he served his nation at home and abroad. We thank Lewis for his bravery and his continued service to our residents. 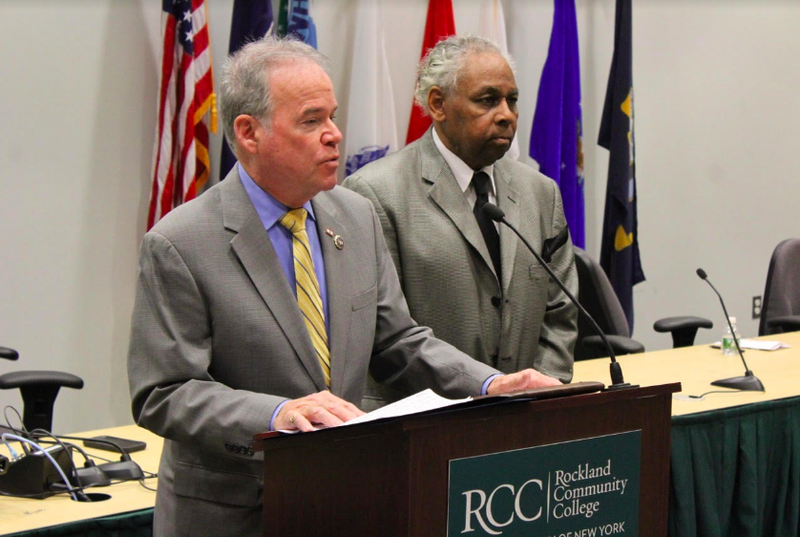 We are proud to list your name among the proud African-American men and women who have been named to the Rockland County Buffalo Soldiers since 1993,” concluded County Executive Ed Day.